This guide is for players who want to increase their chances of survival by identifying enemies & their positions. 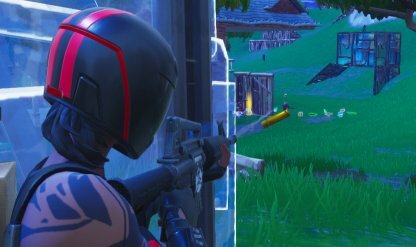 Learn how to survive longer in Fortnite Battle Royale with these tips. 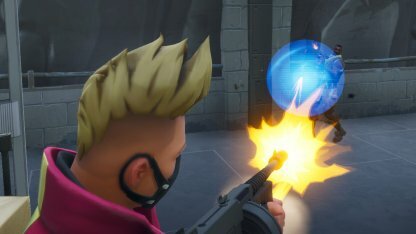 To be able to get the Victory Royale, you will need to learn how to spot enemies so you can steer clear from danger and prolong your survival in the game. Learn how to Achieve Top 10 here! 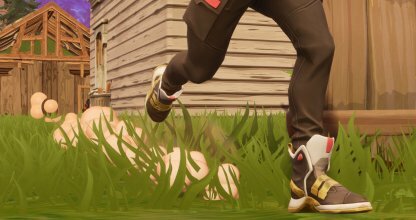 Knowing your enemy's location at all times is key to lasting long in Fortnite. Being aware of your surroundings and using the visual and auditory cues the game provides will help you identify if another player is close by. Interacting with a door opens it. It stays open until another player closes it. Be careful when entering buildings with open doors, another player might still be there! Open lootboxes means that another player has been to this location before you. Try checking whether there are still items left lying around. Loot with caution! A missing wall is just as good as an open door. Stay frosty. While exploring, you may see a tree vanish into thin air. This is not a glitch, this is another player in your vicinity. Get down! 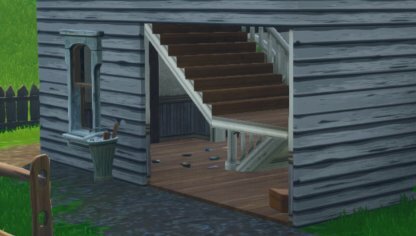 Built structures such as a wall with stairs means that an enemy has been there. 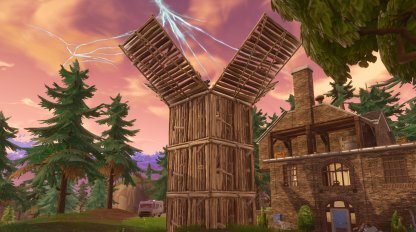 Try avoiding these, especially fully-built forts since those who built them may still be there. If you decide to go near it, better be ready to meet its maker. A lot of items on the ground with no open treasure chest in sight means that another player died on that spot. Check what's left and loot with caution, the killer could be eyeing you next! Running makes a lot of noise. If you start hearing other footsteps, hide and stay still! You don't want to let the enemy know that they're not alone! Harvesting materials using a pickaxe makes noise as well. Be careful when you hear another player doing this because they might have enough resources to get the height advantage on you. Switching weapons makes noise as well. There are subtle differences when switching to a different weapon type so familiarize yourself with these in order to predict the weapon the enemy has and act accordingly. Ever dance over an enemy's loot? Yes? Well, we can hear you. Chances are, other people heard your gunshots, and may be coming for you. Do not get caught aiming your finger guns at them while they aim real guns at you! 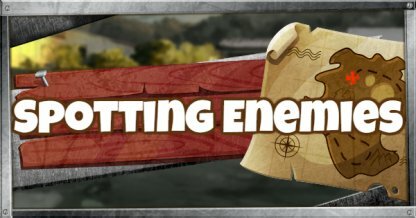 Now that we've discussed the different ways to identify where enemies are in the game, let's go over some ways for you to stay hidden from the enemy. As the game goes on, the map area will shrink. If you need to travel around the map, here are some things to remember when exploring. Make closing doors behind you a habit as you play the game. 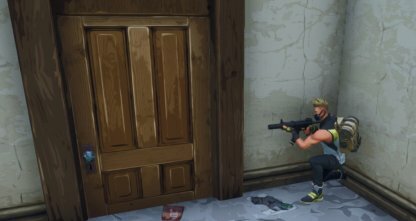 A closed door will also alert you if another player has entered your building since it makes a sound when it opens. Harvesting materials is an important part of the game. When you are out and about, try to gather these materials as much as you can, but do not destroy the source of your materials! You don't need to fully destroy objects. Suddenly vanishing trees or cars on a player's screen automatically puts them on high alert! Moving while crouched makes you slower, but it also makes less noise. If you find yourself in the same area as another player, and want to get by unnoticed, stay low! Staying in the same place for a long time can have some benefits such as enemies not noticing you. However, if you don't move much, it will be easy for a sniper to pick you off from afar! It might be easier to get to a hard to reach place by building, but the structure will alert an enemy of your presence if they see the it in the process of being built. Before creating your structure, ask yourself, "Is it worth it?" An open area is a sniper's best friend. They will shoot anything that moves. Try looking for a different route when you find yourself in areas similar to the picture above. Switching weapons when you're sure that you're alone won't give an enemy the chance to know what you've got equipped when they engage you. Avoid fights as much as possible. It will almost always guarantee you surviving into the later stages of the game, but when you are cornered and have no choice, fight, and get out of the area as fast as possible. 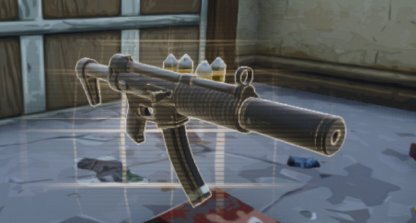 When forced to fight if you have a suppressed weapon, use it. It won't make much noise and will not alert any other nearby players. Use louder guns when there are less players left. If you find yourself being shot at from afar, stay low, and try to find some cover. Only build cover if you can't find any. You are not limited to what your character can see. When entering a new area, use your camera to check corners and see if someone is there waiting for you. After fighting, get out of there, and find a secure place before healing. You don't want that medkit to go to waste when someone starts shooting at you as soon as you finish healing.